Have you finished all your Christmas shopping? Is that a big tradition in your corner of the world? One of the things I most enjoyed about writing these books was learning about the holiday traditions of the era. One of these traditions is the Feast of St. Thomas the Apostle, celebrated on December 21st, became associated with charitable giving. Elderly women (often widows) went ‘thomasing’ of ‘a-gooding’, at the houses of their more fortunate neighbors hoping for gifts of food or money. The practice had become especially common during since the Napoleonic wars dramatically increased the number of widows. ‘Mumpers’ would call at the principle houses in the parish and collect small coins or provisions toward Christmas dinner for their families. They often carried two-handled pots in which they received gifts of cooked wheat to make frumenty. The wheat was especially appreciated because the price of the commodity had soared. In exchange, they offered small gifts of holly sprigs, mistletoe, or handspun yarn and grateful good wishes to their benefactors. Darcy dismissed his valet and took a final glance in the mirror. Well brushed black coat, crisp white cravat, shoes polished to a shine. He was neat, proper, and hopefully unremarkable. Though it was only a small card party at the Matlocks’, it would be his luck to encounter some gossip writer skulking around the nearby streets, like a weasel waiting to sneak into the hen house. Scavengers and vermin, all of them. The back of his neck twitched. Card play was hardly amusing. If he had any choice in the matter, he would skip the whole thing. But that would offend Aunt and Uncle Matlock, a greater price than he was ready to pay for the luxury of an evening at home. He went to his study to get in a few minutes of work before the coach was ready to take him to Matlock House. A recent letter from Mr. Rushout required his attention. Just as he settled down to read it, the housekeeper peeked in and rapped on the doorframe. He waved her in. She curtsied in front of his desk. A small, somewhat severe looking woman with dark hair and darker eyes, her size was deceptive. She had a sharp, quick mind and could recall the tiniest detail about anything related to her job. Darcy House had been without a mistress since Mother had died, but despite that lack of guidance, she ran the house flawlessly. Unfortunately, she was right. Napoleon had ensured England would not run short of widows. “That is very generous of you, sir.” Though she would never say such a thing, something in her eyes looked pleased. “I know they will be very grateful.” She curtsied again and left as the footman appeared at the door to announce the carriage. He settled into the soft leather carriage squabs. The smell of fresh polish lingered in the air, a bit too strong for his liking. So, he pulled open the curtains and the side glass for a bit of fresh air. The streets were crowded this evening and the going slow enough that Darcy could clearly see the faces of those they passed. So many people—London was so crowded! Peddlers, their faces dusty and worn, some bright-eyed though, calling out their wares with heavy packs on their backs or loaded hand carts. Tradesmen making deliveries, boxes piled high. The occasional dandy and his mates, parading around, hoping for notice. And the beggars. They were everywhere, paupers, begging for help and sustenance. It was difficult to tell the deserving from the undeserving poor. How many times had he been counseled to give only to the deserving poor? But how was one to know who was truly deserving? A woman, worn and tattered, with two young children in tow looked at him with hollow eyes. Her face was dirty, and so very, very tired. She was young for a widow. Probably a soldier’s wife. He waved at her with one hand and reached into his pocket with the other. She limped as she hurried toward his carriage, sending one of the children, a young boy ahead of her. Darcy tossed him a coin before the carriage was out of reach and the child ran it back to his mother. Tears ran down her face as she waved her thanks. He leaned back and closed his eyes. How many young girls chased after a smart uniform? Certainly, the young women in Meryton had. What would they do if they encountered real officers like Fitzwilliam, not mere militia? Would Miss Elizabeth consider marrying a soldier? Her mother certainly would not warn her against it. If she did, how easily could she end up as that poor wretch in the streets? He gulped, stomach knotted. Far, far too easily, and through no fault of her own. Surely, her family though, they would take care of her, would they not? If her father were alive, there was no question, but if Collins was master of Longbourn—with his own self-righteousness and Aunt Catherine’s judgmental nature, charity would be hard to find from his household. He scrubbed his eyes with his palm, but still the image of that woman remained. That was too cruel a fate for a woman like Miss Elizabeth. But what could he do about it? Tomorrow he would instruct the housekeeper to increase what was set aside for the mumpers. Full of hope and ripe with possibility, Christmastide tales refresh the heart with optimism and anticipation. Jane Austen never wrote the details of Christmastide 1811. What might have happened during those intriguing months? Following the Netherfield ball, Darcy persuades Bingley to leave Netherfield Park in favor of London to avoid the match-making machinations of Mrs. Bennet. Surely, the distractions of town will help Bingley forget the attractions of Miss Jane Bennet. But Bingley is not the only one who needs to forget. 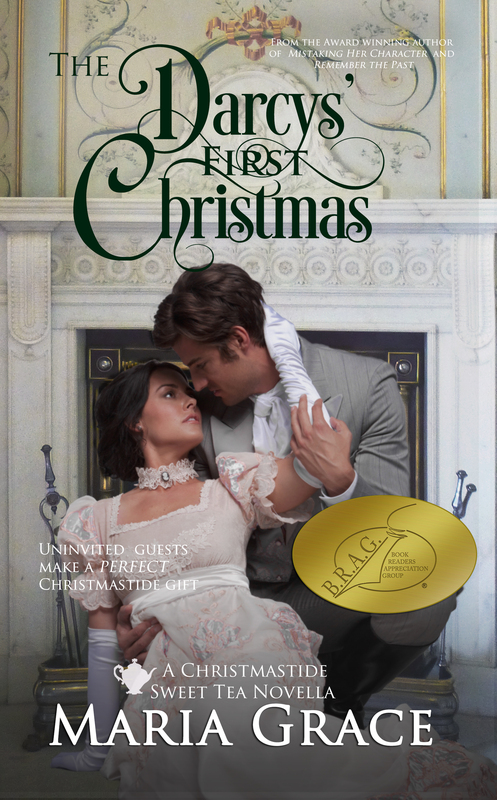 All Darcy wants this Christmastide is to forget another Miss Bennet. Can the diversions of London help Darcy overcome memories of the fine eyes and pert opinions of a certain Hertfordshire miss? Without the Bingleys, the Bennets are left to the company of Mr. Collins and the militia officers—entirely suitable company, according Mrs. Bennet. Elizabeth disagrees, refusing an offer of marriage from the very eligible Mr. Collins. Mama’s nerves suffer horridly until Elizabeth follows her advice to make the most of the officers’ company. Even Mr. Bennet seems to agree. So, whilst Jane pines for Bingley, Elizabeth admits the attentions of one agreeable Lt. Wickham. What possible harm can it cause, especially when her parents are so pleased? After the debacle of the previous holiday season, Darcy and Elizabeth joyfully anticipate Christmastide 1813, Georgiana’s come out at Pemberley’s Twelfth Night Ball culminating the season. With months of planning behind the event, even Lady Matlock is satisfied and sends Colonel Fitzwilliam to represent the family, assuring there will be no repeat of the previous Christmastide. On St. Nicholas’, Anne de Bourgh and Lady Catherine arrive on Pemberley’s doorstep—never a good sign—demanding sanctuary against the de Bourghs who (according the Lady Catherine) are trying to retake Rosings Park for their family with plans to seduce and marry Anne. Needless to say, Darcy and Fitzwilliam are skeptical. Not long afterwards, three gentlemen suitors appear at Pemberley, hoping to court Anne and obliging Darcy to offer holiday hospitality. Anne adores the attention whilst Lady Catherine makes her displeasure know, throwing Pemberley into turmoil that threatens the Twelfth Night Ball. Can Darcy and Elizabeth, with a little help from Fitzwilliam, soothe Lady Catherine’s nerves, see Anne to a respectable match, and still salvage Georgiana’s come out? Maria Grace would like to offer to one of my readers one ebook copy of either one of her 2 recently released books. 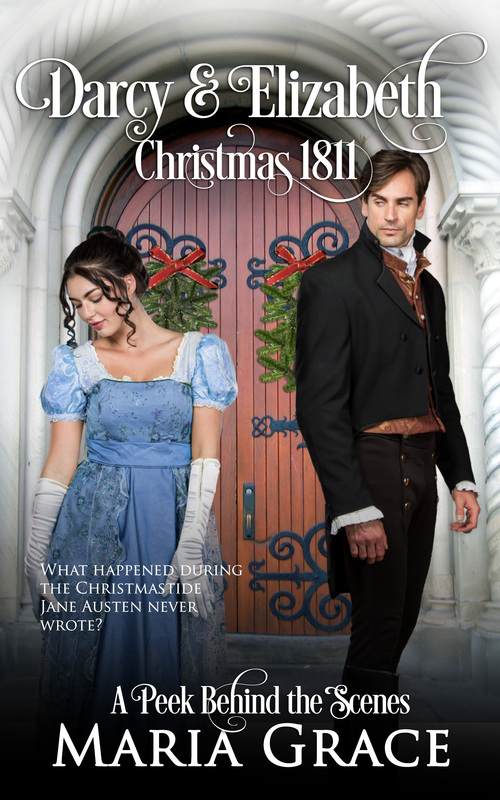 The winner may choose a copy of The Darcys’ First Christmas or Darcy and Elizabeth: Christmas 1811 and to apply to the giveaway it is only necessary to comment on this post and share your ideas with us. The giveaway is open until Christmas, so all entries until the 25th of December will be taken into account. I love holiday-themed stories. Enjoyed the excerpt. Thanks for sharing! I loved this excerpt. It proved what a good heart Darcy has. Also that he hadn’t forgotten Elizabeth and was concerned about her future. I look forward to reading these books, thank you Maria and thanks Rita for this post. I hope you enjoy the season (after you have done your shopping Rita!😱) and have a great New Year. I love Christmas stories, and behind the scenes as well. Looking forward to reading them. Maria is definitely one of my favorite JAFF authors, and it was interesting to also read about the actual traditions. Thanks for the giveaway. I love Maria’s works! I hope to read them soon, whether I get lucky in the giveaway or not! Thanks for the chance! I’d love to read the Christmas 1811 book! Love Christmas Austen-style! That was such a beautiful excerpt and for Darcy to wonder if this fate was Elizabeth’s if she chose a soldier is heartbreaking! Thank you! Good luck shopping Rita! I hope the presentation went well…can’t wait to hear all about it! Christmas with the Darcys’! Love it, can’t wait to read them both! Great post. Looking forward to reading more from Maria. 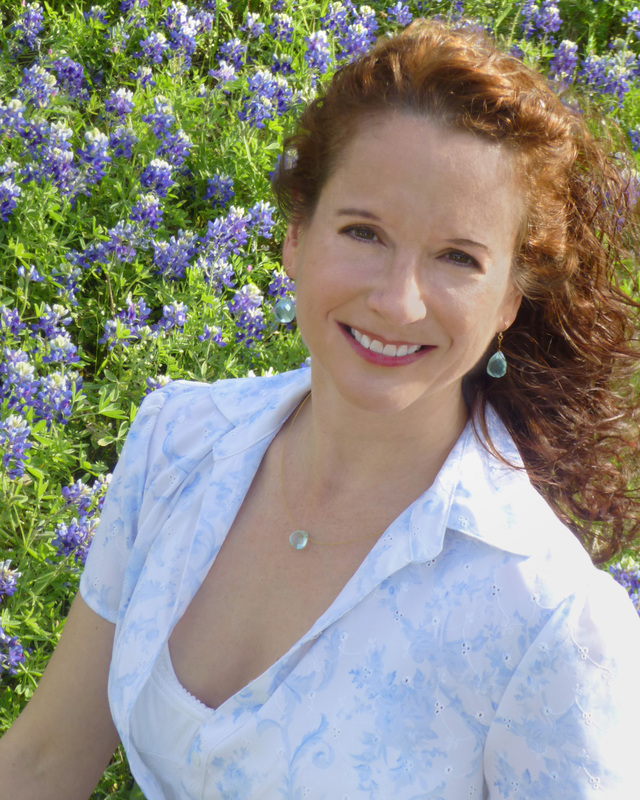 Launching two books… Maria Grace is a wonder woman for sure. Thanks to Rita for hosting… thanks to Maria Grace for the generous give-a-way. Man… that excerpt is full of angst. Both Lady C and Anne at Pemberley seeking refuge? That can’t be good. I can’t wait to read it. I have book 1 and I need the bookends. OCD here! So… I have to have the set. Just saying. How wonderful to have two new books from Maria!! I love her style and these sound rather special. I love Christmas stories! I especially love Elizabeth and Darcy Christmas stories! Thanks for the great giveaway! Thanks, Maria, for giving us these lovely Christmas books. 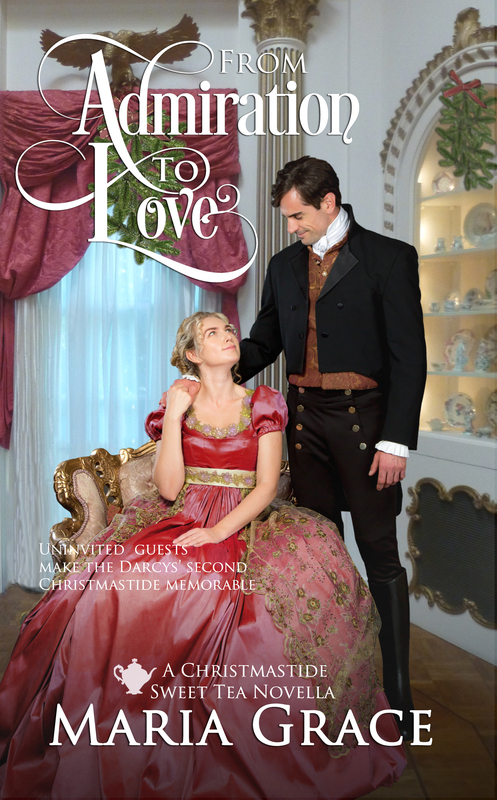 I love Christmas books and especially those with Darcy and Lizzy. I look forward to reading them. I hope 2018 brings you a much better year with less hurricane stress than you had this year. Merry Christmas and Happy New Year! Rita, I feel your pain. I have done very little shopping myself. What I have done was online since I have been unable to get out and go shopping. I hope you get yours done soon. I plan to do a little decorating later this week. Haven’t done that either! Merry Christmas to you and yours. Thanks for sharing your books with us! Looking forward to reading these Christmas goodies. Such a generous giveaway!!!! Good luck everyone!! There a quite a number of Christmas traditions that I know through the years of reading Regency blog posts but I’m not familiar with wassailing and mumpers. Thanks for the enlightening article, Maria. I would love to read either story. I know I would enjoy them. But in reading the excerpt I am curious as to where this is leading. He seems set against E. and I wonder if he is going to encounter her in London.